Dear all, I thank you all for the energy and commi.. I received my car on time. It is a nice car it run.. I would like to inform you that we received the To..
Toyota RAV4 is an outclass Sporty Vehicle having fascinating exterior design and comfortable interior for customers to have a perfect and enjoyable long drive experience. It is a fuel economy car to save your maximum fuel with minimum money expenditure. This automatic Toyota SUV provides accommodation for up to 5 people with spacious seating capacity for them. Its offers exclusive features include safety child alarm systems, front Anti-lock braking system, Rear Anti-lock Braking system, child seat lock, head protection airbag and rear protection air bag for passengers. 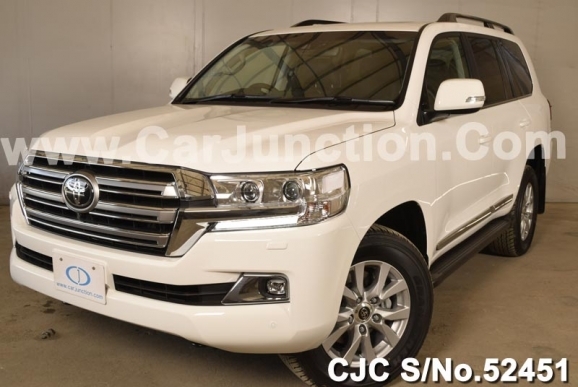 Some additional features are six speakers compact disc stereo sound system, air conditioner, power shift automatic gearing system with power windows and power automatic steering drive. All these features offer complete fun and joy with extreme comfort driving experience. Toyota RAV4 has an option of continuously variable transmission (CVT) with gear mechanism that delivers optimized performance and improved fuel efficiency. It has a dynamic force engine of 2.0 Liters in-line 4-cylinder gasoline and 2.5 liters hybrid system with powerful electric motor for super higher mileage. This car is available in various packages including Adventure, G "Z package", G, X, Hybrid G and Hybrid X for customers. It is an ideal and perfect small compact SUV Vehicle for all leisure and adventurous fun activities for the entire family. Car Junction a Japanese car exporter deals in Right hand drive Toyota RAV 4 to provide its customers finest SUV Cars at better affordable prices. We offer brand new and Used Toyota RAV4 for Africa and Caribbean regions including Tanzania, Zimbabwe, Zambia, Botswana, Uganda, Mozambique, DRC, Jamaica, Bahamas, Guyana, Trinidad and Tobago.